Without any doubt, an array is one of the most used data structure in all programming language, including Java. Pick up any programming language be it functional, object-oriented, imperative or even scripting languages like Python, Bash, and Perl, you will always find array. That's why it's important for any programmer to have a good understanding of array data structure. The array is used to store elements in the contiguous memory location and many C, C++ programmer can take advantage of a pointer to work with an array. In Java, there are no pointers and arrays are also a little bit different. They are the object, they have length field which denotes how many elements array can store. Arrays are created in the special memory area called heap memory in JVM, which is also created when you start the JVM. What remains same is that you can access the array element in constant time using their index, this works almost similarly in both C, C++ and Java, they start with 0 and ends at length -1, but Java array has an extra caveat that arrays index access are subject to bound check in Java. In C, it's possible for a program to access an invalid index, mostly index higher than the size of the array. In Java such attempts will result in ArrayIndexOutOfBoundsException, this is done to protect external memory access from JVM due to malicious programs. In order to learn and remember some important details about array data structure in Java, I am sharing these points. These are the things which I believe every Java developer should know about the array. You may know how to iterate through an array using enhanced for loop or how to sort an array using Arrays.sort() method, but if you don't know fundamentals, it's very unlikely you would be able to write clean and robust code. Even if you know everything about array in Java, this list may help you to revise some useful details. 1. First and foremost, an array is an object in Java. They are not primitive like int, short, or long, but they are also not full featured object with lot of methods, but because they are object, they implicitly extend Object and that's why you can call any method of java.lang.Object using array reference e.g. toString(). 2. Another most important thing to know about array in Java is that once created you can not change the size of the array. Curious developers may ask that then how do we have a dynamic collection like ArrayList in Java, which can resize itself when it get full? Well, it's not the resize you think, where you can simply increase the size of an array to accommodate additional elements. In order to increase size, you have to create a new array and copy contents from the old array to new array. Though there are fast methods exists to copy elements from one array to another, it still an expensive operation and can slow down the performance of your Java application. That's why initializing array or collection with proper size is still one of the best practices to follow. 3. The third thing to know about array is its length property, which tells you the size of an array or how many elements it can hold. It's often a cause of confusion as well because String has a similar length() method, yes that's a method and array length is property, so no more parenthesis. One more thing which increases this confusion is the size() method of ArrayList, which also returns how many elements ArrayList can hold. Here is a sample code snippet to find out the length of an array in Java. You can use the length of an array while looping through an array in Java to avoid accessing invalid indexes, as shown in next example. 4. Array index starts from zero, so the index of the first element is 0 and index of the last element is length -1. This property is used to iterate over all elements in a for loop. You can see that we are starting the loop from 0 (first element) and ending it less than length e.g. length -1 (last element index). If you try to access array[length], you will get ArrayIndexOutOfBoundsException because the last index is length-1. 5. As I said before that arrays are treated as objects by the Java Virtual Machine. The type of an array is "[elementtype", where element type is the type of the elements. For example, a (1-dimensional) array of integers has type "[I", similarly one dimensional short array has type "[S", and one dimensional float array has type "[F". For two-dimensional arrays, you get two "[[" e.g. two dimensional int array has type "[[I". You can check this by yourself when you print an array in Java. It prints its element type and hashcode as shown below. 6. If you have been following my last example, then you will notice that printing array using toString() will not result in anything useful except that element-type. 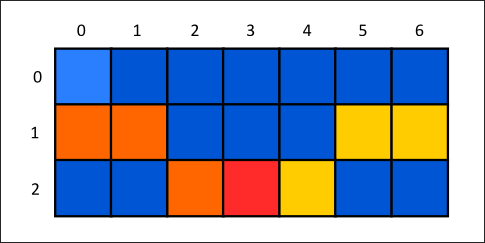 Ideally, we would like to see elements of an array in the order they exists. Can we override toString() method of array class, no that's not an option, but don't worry we have got a utility class java.util.Arrays which contains several methods to help with different types of arrays. We can use toString() and deepToString() method of Arrays class to print elements of an array for one and multi-dimensional array in Java, as shown here. You can see that first statement is false even though elements and their orders are same, because "==" operator only returns true if both variables is pointing to the same array, which is the case in second equality check. Similarly equals() method also mimic the behavior of == operator because array doesn't override Object's equals() method whose default behavior is to decide equality based upon the same reference. Arrays.equals() is the right method to check if two arrays are equal in Java or not. You should always use that for this purpose. 9) While working in Java, you will need to convert between static array to dynamic array or ArrayList to array multiple times. It's good to know how you can do that quickly and this tip will help you a lot. 11) One bonus tip is that Array is quite different than ArrayList in the sense that later is a dynamic array, it can resize itself when need. On the other hand, you can not change the size of Array once created. Apart from this very fact, there are several other difference between these two classes e.g. ArrayList is part of Java Collection framework but Array is not. See here to learn several more differences between Array and ArrayList in Java. 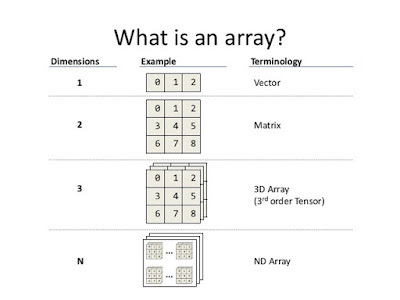 That's all on this list of some important points about array data structure in Java. Use array to hold same type of elements e.g. integers, strings or object, but you can not mix them e.g. Java array can not hold both integer and string at same time. At compile time it's error but for objects if compiler will allow it will throw ArrayStoreException at runtime. On same note, array is also one of the fasted data-structure for accessing elements if you know the index. Several higher level data structures like HashMap and HashSet are built on top of array because of it's O(1) get performance. ArrayIndexOutOfBounds in Java is a way to prevent BufferOverFlow errors, which can cause a malicious program to store something in a memory location which is not guarded. Java doesn't allow BufferOverFlow error to happen and for this it does bounds check on array, no pointers only helps the cause. Couple of more points about Java array, they are homogenous, you cannont store an int into String array, it will compile time error, but an Object array can store anything, but if a String array stores an object other than String it will throw ArrayStoreException at runtime. Nice tip on Arrays#equals and #deepEquals methods. Thank you very much.